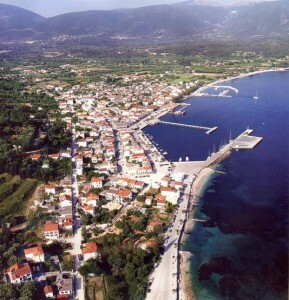 Antisamos beach distinguishes for the turquoise waters and the white small pebbles. It is surrounded by green hills and vast vegetation reaching the edges of the shore. The beach has gained worldwide reputation from the Hollywood movie “Captain Corelli’s Mandolin”, where some of the scenes were filmed here. The Lake Cavern of Melissani is a unique geological phenomenon lo-cated 2 km northwest of Sami. The natural entrance of the cave is vertical and was created by the col-lapse of a section of roof. It has many stalactites and stalagmites created from the rain, which comes through the rocky level of the cave, it corrodes it and deposits its elements on the edge of the stalactites. A stalactite grows one cm every 100 years. 30 minutes from Sami is the the Monastery of Agios (St.) Gerasimos, the most holy Church of the island. Agios Gerasimos is the patron saint of Kefalonia, his body is guarded and protected in a glass casement at the monastery as it has never de-composed. 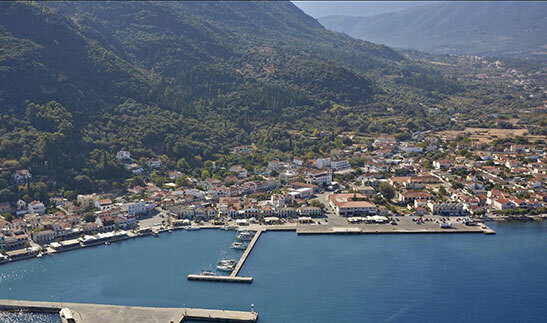 9km from Sami is a beautiful small fishing village and a picturesque harbor, Agia Efimia.